Which cartridge do I need for the HP C3188. Please tell me. Thank you. Need HP C3188 cartridges super fast? Then check out what Cartridge Save have to buy. Searching around to get printer cartridges can be another time-consuming hassle, in particular when it means needing to visit or phone a variety of providers. Then again, getting C3188 ink doesn't need to be a stressful time. Purchase some HP C3188 printer cartridges now from Cartridge Save and you could gain not merely energy, you'll also spend less! If you choose to place your order for bargain HP ink cartridges at Cartridge Save, you can easily feel comfortable in the fact that your new order ought to be supplied on the very following day. HP C3188 ink supplies purchased at Cartridge Save are additionally protected with our long cash-back pledge. Thanks to fantastic bargains such as these you can definitely spend less because of Cartridge Save! Aimed at small offices and homes, the HP Photosmart C3188 is an all-in-one printer that delivers excellent photos and documents. 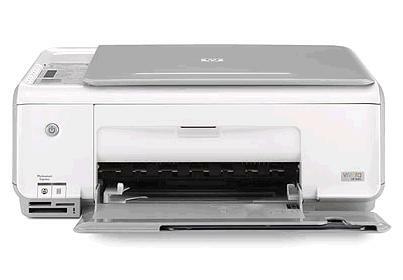 This budget-friendly printer has scanning and copying capabilities and has a monthly duty cycle of 3000 pages. This printer was made years ago, so it may be hard to find replacement parts, and might run into compatibility problems with current operating systems. With its sleek and compact design, the HP Photosmart C3188 can fit into small working areas. It has a 100-sheet input capacity and a 50-sheet output capacity. The printer is at the bottom while the flatbed scanner is on top. The control panel features easy-to-use buttons, including a Photoexpress button for launching the Photoexpress software. The HP Photosmart C3188 can be used for both Mac and Windows operating systems. It has memory card readers for easy photo printing. It delivers high-quality prints and boasts a scanner resolution of 4800 x 1200 dpi. This printer does not have a Wi-Fi and uses USB cable. It lacks useful features found in newer models, including an LCD display and fax. This printer may not work with newer Windows and Mac operating systems.